About the Children's Department: The Most Important Thing We Can Do For Children . . . The Most Important Thing We Can Do For Children . . . If you look in Judges 2 you will read some of the saddest verses in the Bible which should get the attention of every pastor, church leader and grandparent. They say . 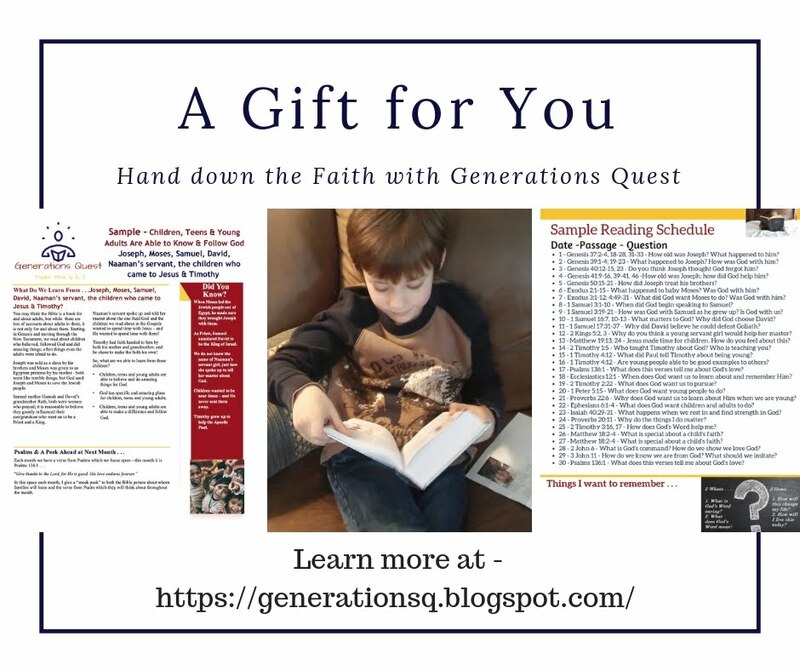 . .
"After that whole generation had been gathered to their ancestors, another generation grew up who knew neither the LORD nor what he had done for Israel. Then the Israelites did evil in the eyes of the LORD and served the Baals. They forsook the LORD, the God of their ancestors, who had brought them out of Egypt. They followed and worshiped various gods of the peoples around them." 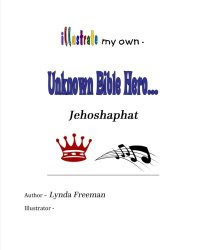 Throughout Judges we read where the people of Israel did evil and forgot God. He sent other nations to test and see if they would obey Him; when the people called out to God for help, He sent judges to fight those who were oppressing them. Then the people turned back to God - for a while; but before long once again they did evil, forgot Him and this pattern continued. When I look at the world around me it is clear new generations are doing evil and forgetting God. Why is this? In Judges it says a generation came along who did not know or experience how God saved them from Egypt. They did not have a relationship of their own with God. So, they did what they wanted and forgot God. Isn't this what we see happening around us today? 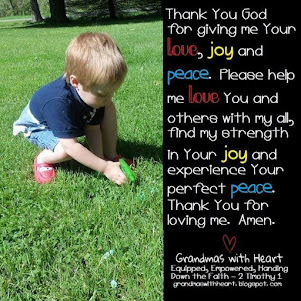 Our children and our children’s children have heard about our relationship with God, but if they do not know and walk with God themselves, they will at some point, turn to doing what they want and will forget God. We need to look at our Children’s and Youth Ministries with this in mind. 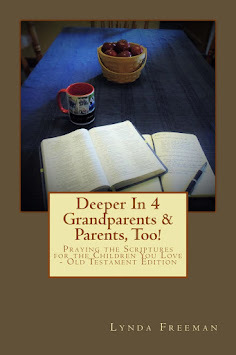 As leaders – and grandparents – in our churches, we need to see . . .
1. 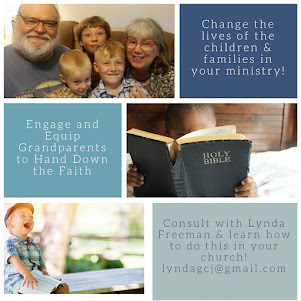 While programs are a fine part of our Children's and Youth Ministries, if we are not really helping children and youth grow to know and walk with God themselves, they will not obey Him as they grow up. 2. We must evaluate constantly what we are doing to be sure we are not distracted by our programs and are really helping children and youth know and walk with God themselves. 3. Let me say this again . 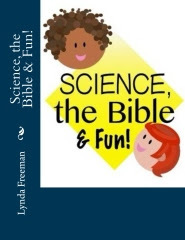 . . our focus must be on helping children and youth know and walk with God themselves. 4. 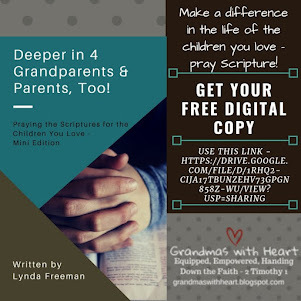 We need to be strong supporters of Grandparenting Ministry in our own churches and equip the grandparents, so they are able to pass on a heritage of faith to their grandchildren. What are you doing to be sure the children and youth in your church come to know and walk with God themselves? 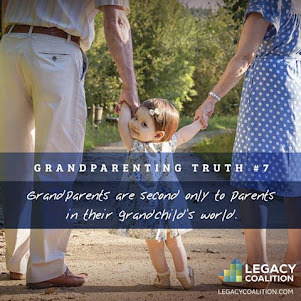 What are you doing to engage, equip and encourage grandparents to pass on a heritage of faith to their children’s children?